Fredericktown could be called the Mon’s ‘Life of the Party’. 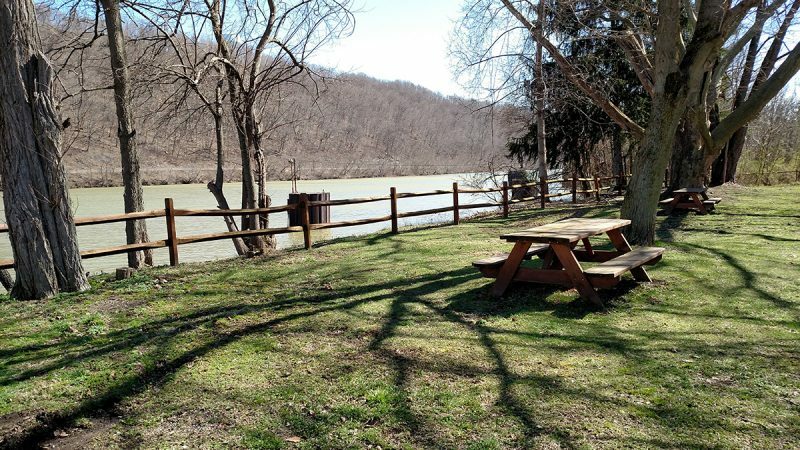 Home of celebration, relaxation and nature, Fredericktown is situated on the Maxwell Pool, a twenty mile stretch of the Monongahela River ideal for outdoor recreation. If you are spending a few days enjoying Fredericktown, the Riverside Inn1, at 400 Front Street, offers comfortable and affordable lodging. Its Riverside Restaurant features weekly specials and a full bar adorned with grand wooden arches carved from a few massive pieces of teak wood in New Orleans and transported by riverboat to its current location. Drop off your bags and head outdoors; there is much to do. The river is the most obvious place to kick off your Fredericktown fun. 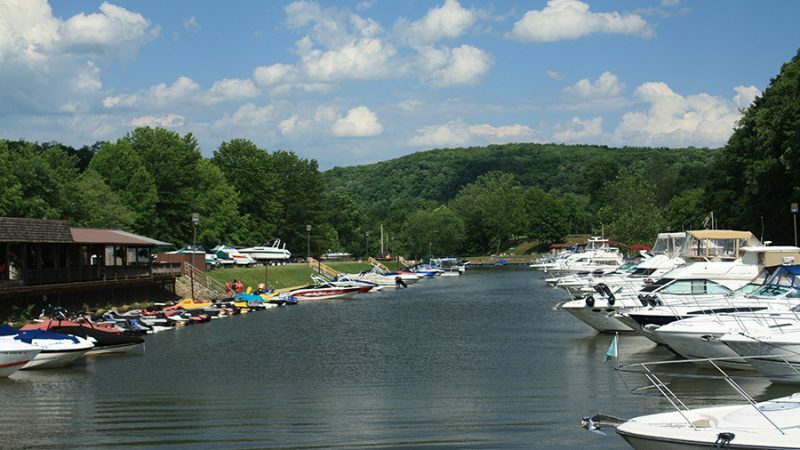 The Greene Cove Yacht Club2, at 1390 State Route 88 in Jefferson, has a public boat launch available for a small fee to launch your boat, jet ski, kayak or canoe. Northeast Paddle Board Company3 is open daily from May to October and offers rentals, lessons, group rates – and even stand up paddleboard yoga. Before hitting the river, grab a bite to eat and a cold drink at the Greene Cove Bar and Grill4, open daily from May to October. An excellent option for lunch is the Fredericktown Butcher Shop5, located at 334 Front Street, where you can pack your cooler or simply pick up their famous fried chicken to go. The kielbasa, ribs, and steaks are all fantastic choices for grilling out. Their homemade beef stick, available in four tasty varieties, is a fantastic snack for an active day. The Greene River Trail provides 5.2 miles of trail with striking river views. Beginning at the Yacht Club, the trail parallels the Mon River. For a less strenuous trek, turn back at the half way point in Rices Landing, about two and a quarter miles down the trail. Before doing so, pull of the trail to enjoy your picnic lunch. Take the time to appreciate the breathtaking view before turning back to Greene Cove. After an exerting day, treat yourself to dinner at the Riviera Restaurant, located at 578 Front Street. Here, you can find breezy outdoor patio seating, overlooking the river. The Riviera Restaurant also has an attached hotel, if you decide to make an impromptu overnight stay. The Riverside restaurant is the breakfast hotspot in town. After cleaning your plate, pick up some bait at the Fredericktown Beer Distributor6. Fredericktown is a fisherman’s dream. 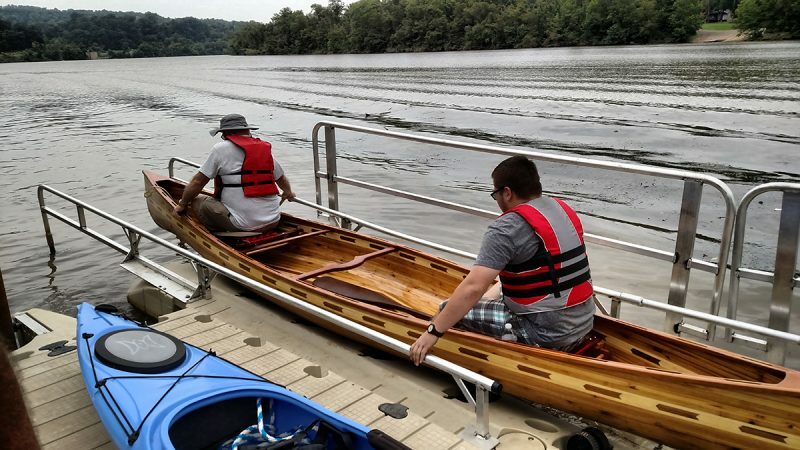 A short walk from the downtown district sits a public boat dock, located behind the East Bethlehem Township Building which is a nice place to cast out. If you want a secluded place to paddle or fish, visit Ten Mile Creek Park, just south of Fredericktown on Route 88. This Washington County park features boat ramps, picnic areas, shelters, and restrooms. The creek is too shallow for motor boats, but the boat ramp can be used to access the Mon or 3-4 miles of paddling upstream for canoes and kayaks. The best time to paddle Ten Mile Creek is late spring and early summer, when the water level is highest. A Washington County Launch Sticker is required to use this boat ramp, which is valid for all boat launches in the county. For a lazy day of fishing, find a shady spot along the bank, cast your rod and wait for a bite. Need a sweet interlude to your day? If you return before 3pm, Trisha’s Treats7 is a great place to stop for an afternoon coffee, tea, and sweet treat as well as fantastic chocolates to take home the sweetness of Fredericktown. 3. Northeast Paddle Board Co.